I don't know how I'm still editing and posting photos from London (I mean I was only there for five real days), but I think this is the last of it! 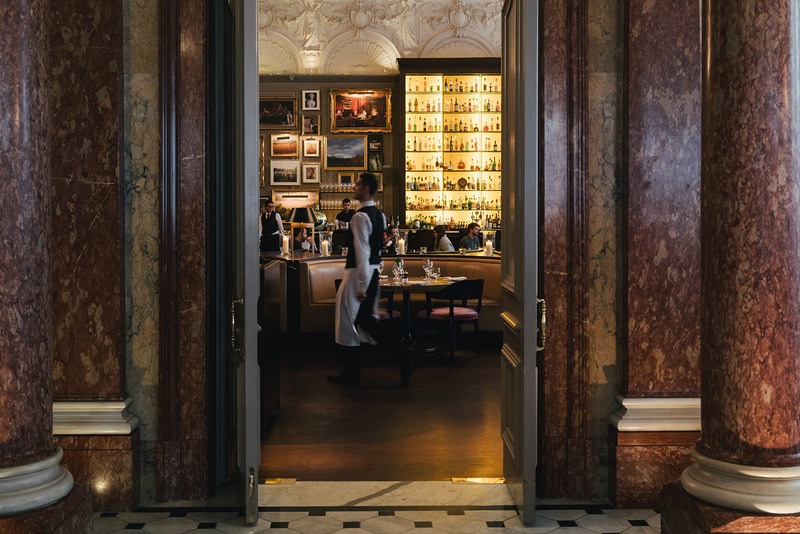 I had always wanted to stay at the EDITION in London and was so happy to get a small taste of it – I would have loved to stay for more than a night, but I planned too last minute and they were fully booked. It's a beautifully designed hotel with an impressive lobby and perfect moody lighting in the rooms (and all those textures!). We had snacks and drinks in the lobby around one of the fireplaces on a chilly night – it doesn't get much cozier than that. And for a happy belly, don't miss these three restaurants below! Have you changed your camera to sony a7r II? Yes I'm using that now but just haven't bothered to change the tag since they're still the same idea! Thank you for your kind reply. Excuse me for the double questions, but I like your photos a lot and I am curious about a7r II for a while. I'm using canon mk III. Do you still own a mark III? When do you still need it if so? I still use my mark iii for shooting in studio and with lighting. Since the sony isn't an SLR I can't compose a shot properly if I'm exclusively lighting with strobes. Hope that makes sense! Thank you for replying again. Of course it makes sense that it doesn't matter if there is enough light, and the weight also doesn't matter in studio. Only less pixels. Good luck with your photography and have a nice last month of the year!